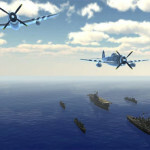 When Mythical City Games came out with Battle Fleet, and then Battle Fleet 2, it represented a wonderful milestone for gamers who preferred either World War II or naval combat simulations. 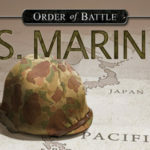 There was even a campaign where you could fight the entire Pacific War as either the Japanese or American Navy. In fact, the original Battle Fleet game earned a top score of 4 and 1/2 GiN Gems in our 2014 review. With no more ocean to expand into, though I think a North Atlantic U-boat campaign would have been cool, the game evolved and crawled onto land, where Battle Fleet: Ground Assault concentrates. For the most part, the interface is pretty much identical to the naval simulation, only the units you are moving around are tanks instead of ships. 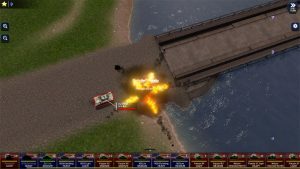 The game is a lot of fun to play, but being completely honest, as I was a huge fan of the whole Battle Fleet series, the translation to a vehicle for ground combat is less than perfect. Though, if you can overlook some of the logical holes that occur when you try to drop a naval combat interface on a ground combat game, it’s still pretty fun, if a little frustrating. 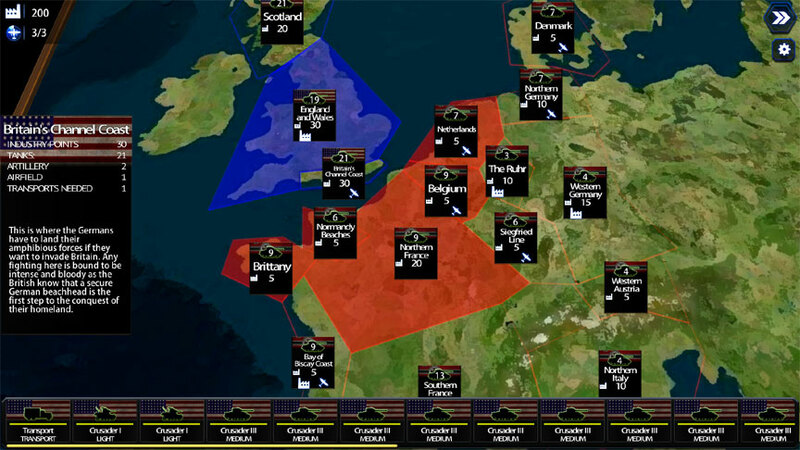 As with the previous Battle Fleet games, there are three main modes of play, a skirmish where both sides have their tanks randomly chosen or pick them using points, a World War II campaign where you fight in Germany (or England if the German player is aggressive enough), and then a multiplayer mode which is pretty much the same as skirmish but with real people. And, unlike some other independent games that have come out recently, Battle Fleet: Ground Assault has enough of a player base that matchmaking never took very long, and someone was always willing to jump in play with us after only a short wait. Check out a skirmish we played against the computer around the time of the game’s launch that we barely won, by the thinnest margin possible. You can tell from the audio that by the very end, we were having a lot of fun with this little battlefield sandbox. 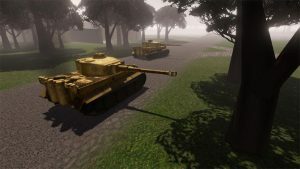 As with the first two Battle Fleet games, the units themselves, in this case 20 historically accurate tanks from various stages of the war for both the Axis and Allies, look amazing. Very small details like unit markings and accurate camouflage make each one a joy to look at. However, the same can not be said for the rest of the environment. This was not too much of a problem out at sea, because it was just water in all directions. 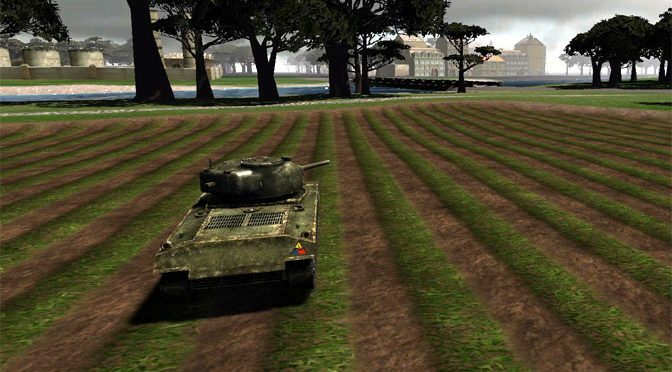 But on land there are buildings, bridges, trees and terrain features that look fairly generic compared with the tanks. Worse yet in terms of graphics, because it also affects gameplay, is that you really can’t tell at a glance if you are moving up a hill or down into a ravine. There is a topographical overlay that comes up where the colors clue you in to different elevations, but its not very intuitive. And it matters, especially on some maps, because enemy tanks at higher elevations can rain shots down on you, but you apparently can’t see them at all because of the terrain features. At sea, line of sight was just that. But here, there are somewhat invisible terrain features that block sight in weird ways. Combat is initiated the same way as in the naval games. Each tank gets a certain number of moves for a certain distance based on their size, with the little guys moving the most and shooting the most. 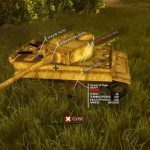 To line up a shot, you point at the enemy tank using a targeting wheel, and then program the amount of power you want to put behind the shell. At lower difficulty levels, the game shows you various range markers to make aiming easier. And here is my second biggest problem with Ground Assault. 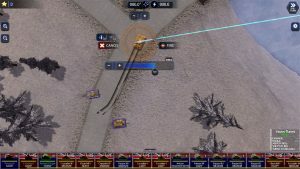 While that aiming method works well for capital ships sitting miles apart lobbing volleys of heavy shells, it doesn’t hold up for tank combat. 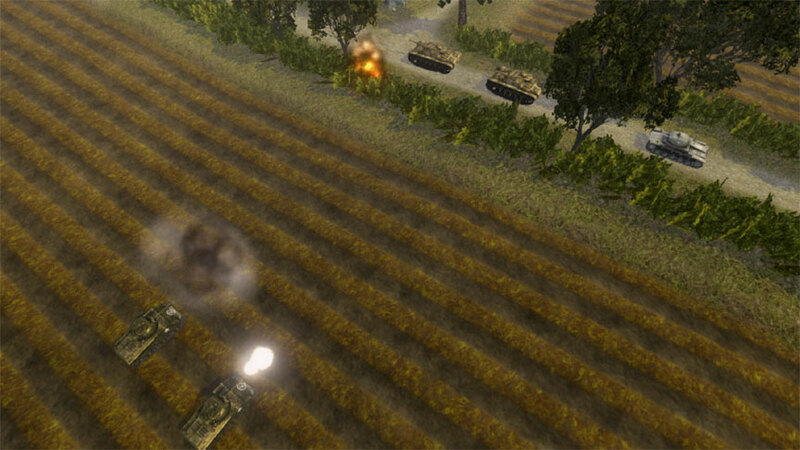 Tanks, especially WWII tanks, fired directly at one another or other targets of opportunity. You pointed your gun and shot. The shell traveled in a straight line and slammed into anything that blocked its path over a relatively short distance. Every shot is made at 100 percent power, because that is how the gun operates. As such, there is no way that a WWII tank firing at another tank sitting 100 yards away is going to overshoot their target. They might miss wide, or the shot might bounce off the armor, but the shell is not going to sail harmlessly overhead and land 200 yards past the target because the gunner chose to “put too much power behind it.” These are guns, not mortars, howitzers or artillery. I’m not sure what the developers could have done to make things more realistic using the naval game interface for ground combat. They would have needed to add something like shot percentages based on tank crew experience or the like. Perhaps doing that would have removed the game from the “friendly” simulation category, so I wont take away too many points for it. But know that the aiming system works much better, and is much more logical, for ships. Playing a skirmish is probably one of the most fun things to do with Ground Assault, either against the computer AI, which is quite good, or against other humans, of which there is a nice player base. I’ve had some really great encounters doing both, and it’s clear that many people have mastered the game. You wont be hurting for a challenge. Now, my biggest problem with Ground Assault is not what is in the game, but what is not included. The world is totally populated by tanks, and nothing else. There are no light vehicles or even tank hunters, and no infantry. This is disappointing because infantry can do a lot of damage to a tank if they are properly equipped. Especially early in the war, a German crew with a relatively small 7.5 cm Pak 40 gun could fire from near concealment or from a reinforced roadblock and really ruin a tankers day. Yet there is none of that here. Even in the historical scenarios, like the D-Day invasion, you are only hitting the beach with tanks and a few trucks (which don’t do anything), and are likewise opposed by tanks. It all feels a little strange to be so limited. 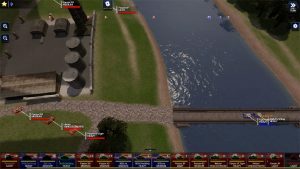 Battle Fleet: Ground Assault isn’t a bad game. I had a lot of fun with it, and playing against other people was a real treat. 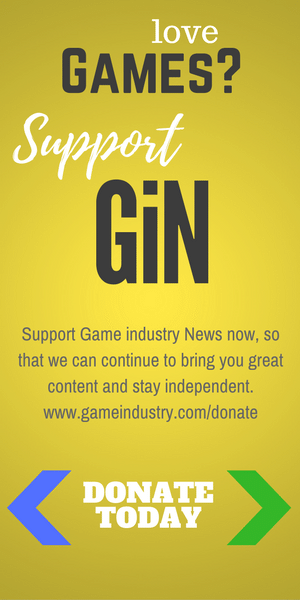 But you have to look at the game compared to others that are available. 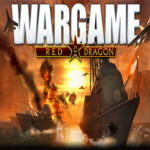 When Battle Fleet came out, it filled a niche in naval combat that was really lacking. But there are a lot of ground-based combat games. Even going back to the Close Combat titles might give players a better experience if they are looking for a bit more realism. As such, while Battle Fleet: Ground Assault is fun to play, it wont be breaking any new ground. It’s worth it for the price though, especially if you really enjoy WWII tanks, or playing matches with other enthusiasts.